As you know, we have a volunteer program where we offer $150 CASH, or a Track Day pass to our Designated Volunteers. 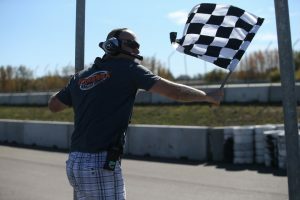 In order to make our events as seamless and safe as possible, we do require that our Volunteers have some track day riding, or corner working experience. HXTD is excited to launch a NEW OPPORTUNITY where you can build first hand corner working experience by shadowing one of our Designated Volunteers for the day. Trainees will have a radio and headset to be part of all the action, however they will NOT be compensated for this initial experience. It’s just our way of growing the community, and increasing the accessibility for people to participate in motorsports. Lunch, water, snacks, casual conversation and plenty of great action are included in all of our events!